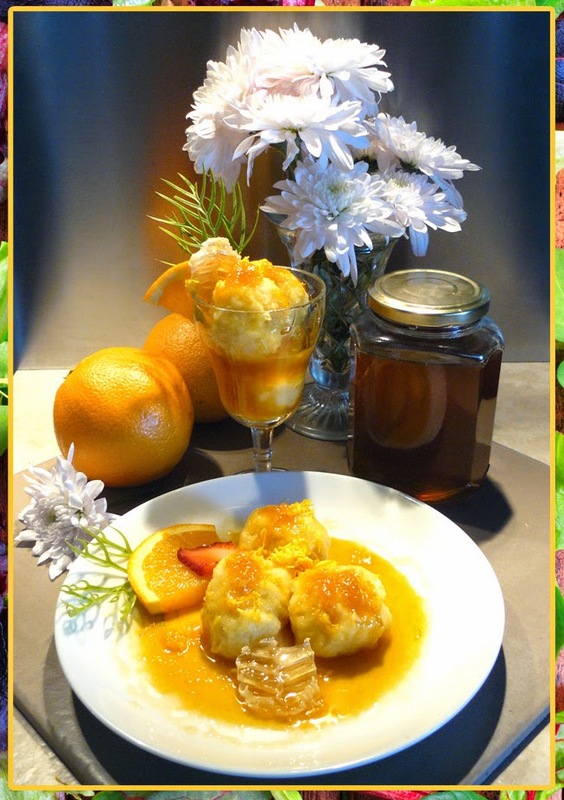 Orange and Honey Dumplings an inexpensive dessert the whole family will love. 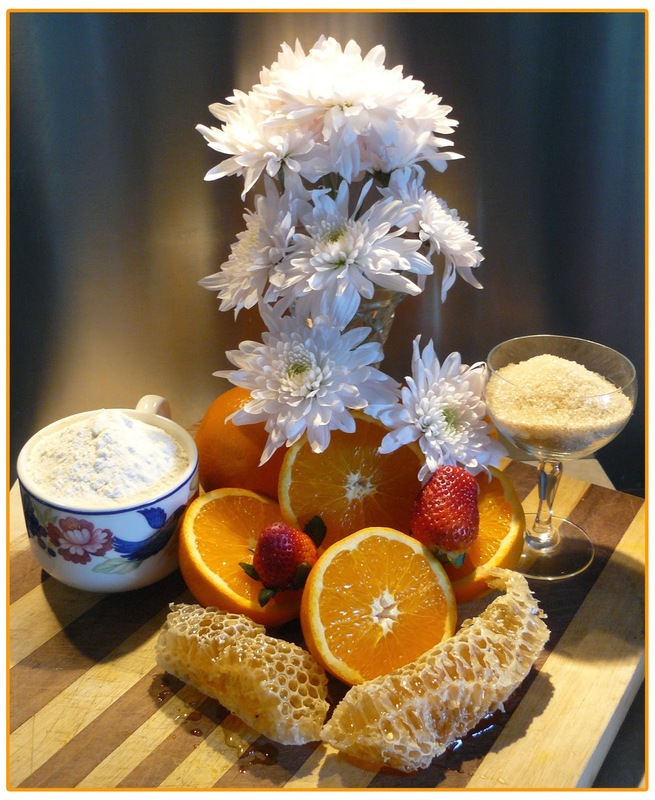 This recipe is for 4 people double ingredient if cooking for more. 1 cup of self-raising flour. 4 tablespoons of fresh orange rind. 4 large oranges for juicing. Honey and Honeycomb and Strawberries for garnishing. Large pot of boiling water on the ready to cook dumplings in. 1. 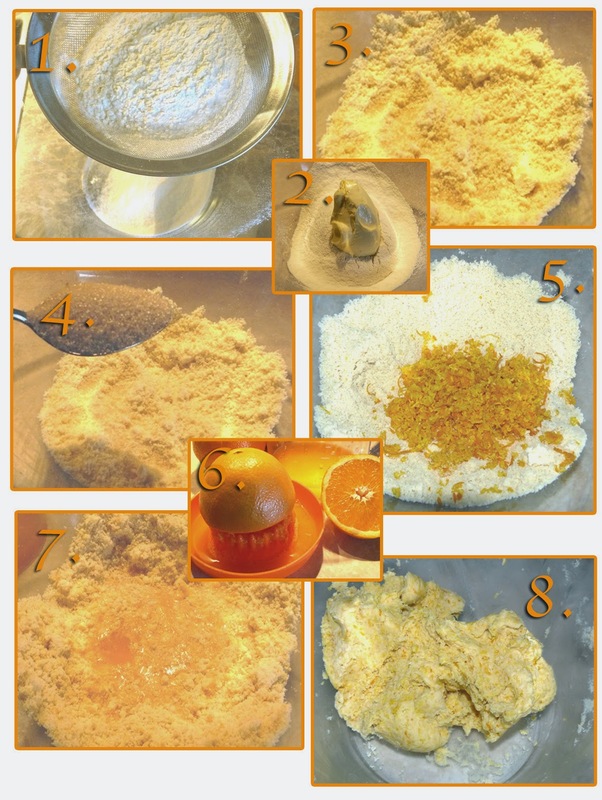 Shift flour - 2. add butter - 3. rub flour and butter together until combined - 4. add sugar and mix well - 5. add orange rind and mix well - 6. add juice - 7. dig a well in the middle of the mix add orange juice a little at a time to combine ingredient, - 8. your dough should look like image 8, not wet. 9. 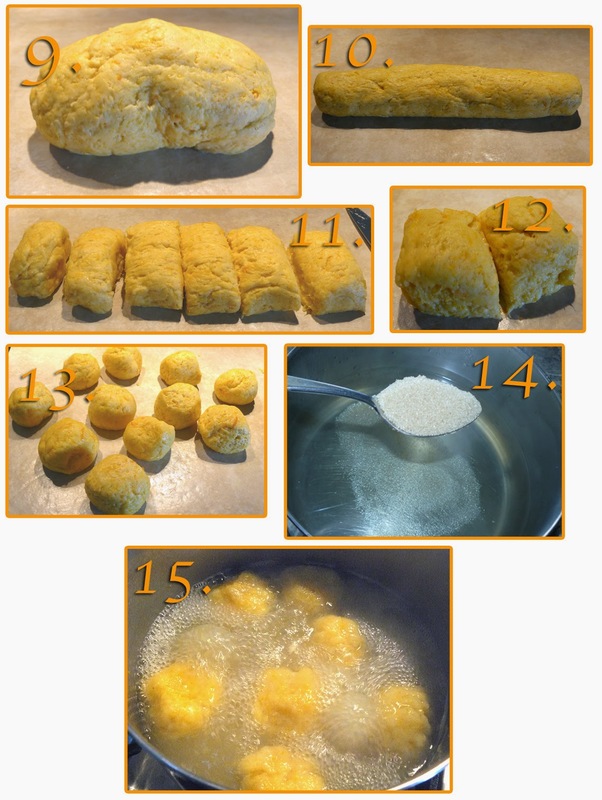 Form dough into a log shape - 10. roll out - 11. cut into 6 - 12. cut in half again - 13. roll into balls, all being the same size - 14. add 3 tablespoons of sugar to water and bring to boil - 15. place 6 only dumplings in hot boiling water and cook for 10 to 15 minutes then remove. Repeat the process till all are cooked. 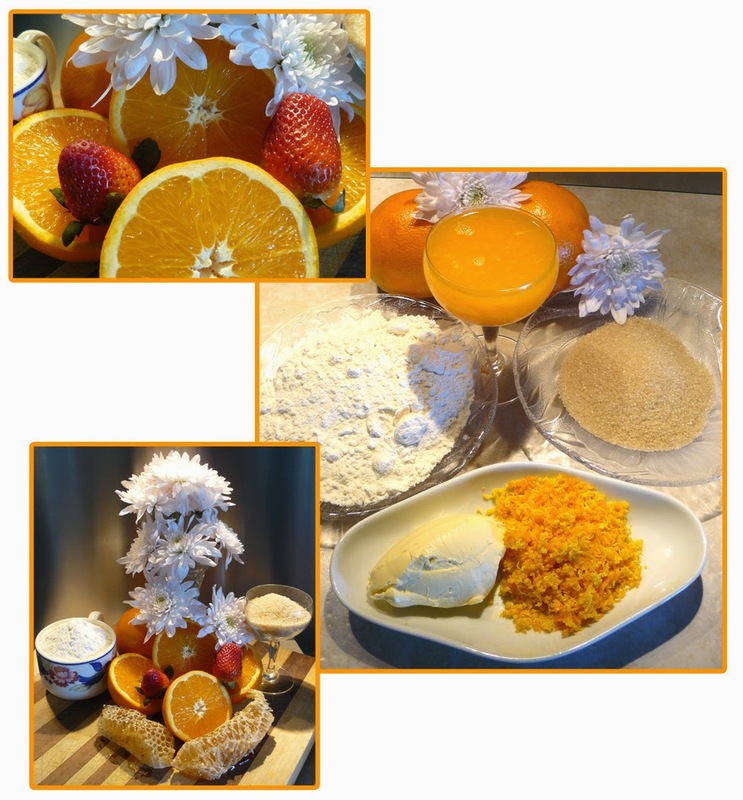 1 dessertspoon of orange rind. 1. 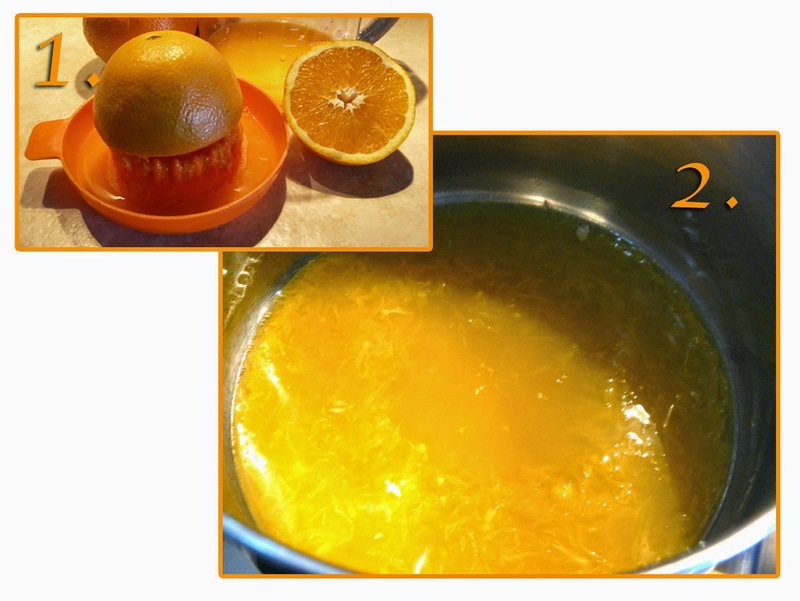 Juice oranges and place juice in pan and bring to boil - 2. add 2 tablespoons of sugar and stir until melted, then reduce liquid until the orange juice begins to thicken. 2 simple idea's for platting up. 1. 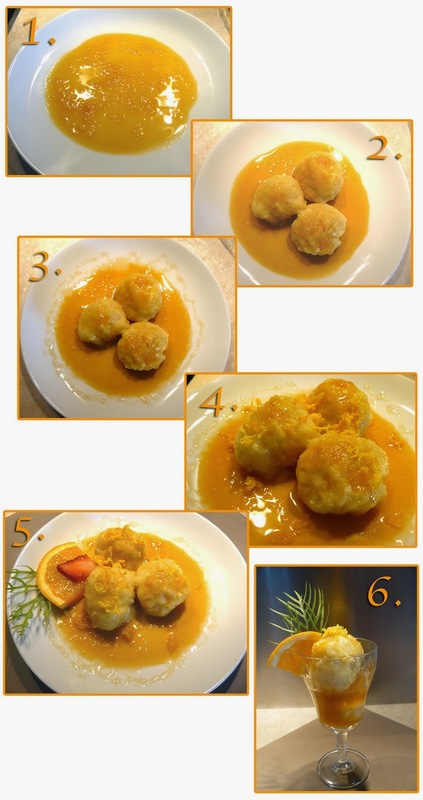 Pour orange sauce into center of plate - 2. place 3 dumplings in the center - 3. drizzle honey around plate and over dumplings, but not to heavy - 4. sprinkle orange on top then - 5. garnish with a slice of fresh orange and strawberry.